Good day ADMIN. Do you have a LIST of ORIGINAL family names in Cavite City or list of surnames distributed in Cavite city (San Roque, Cavite-Puerto, and Caridad , merged into one to create Cavite city in 1930) from the famous Catálogo Alfabético de Apellidos of Governor-General Claveria? A copy of the printed catalog of surnames, previously prepared for this purpose shall be remitted to all the heads of provinces of these islands. we have no way of knowing exactly how the decree was carried out in each town. 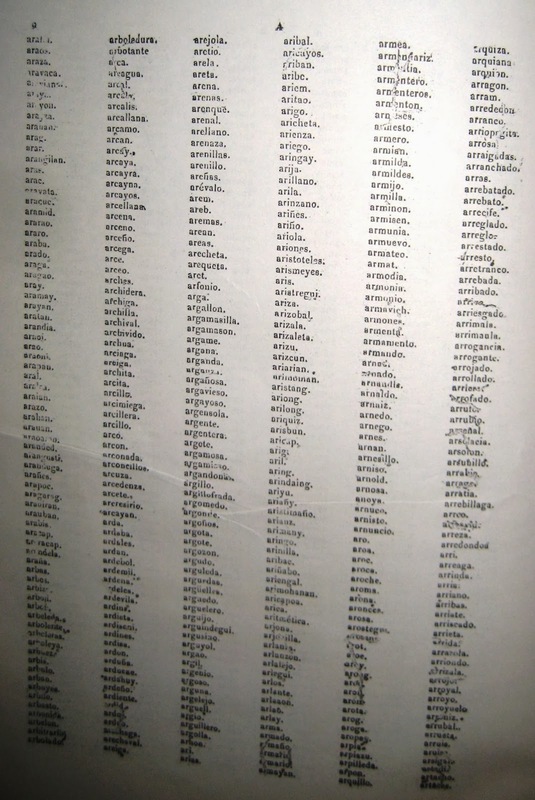 Some provincial governors simply chose pages arbitrarily from the Catalogo and sent these to random towns, while others were more strict in their assignment of the surnames. I believe there might have been a list of surnames adopted in each town, but this list has not been found so far. In order to see what surnames were adopted/assigned in a particular town it would be best to do it from scratch: make a survey of names appearing in the town's church records from 1850 until about 1860-70. Those people with surnames listed as naturales de este pueblo are sure to be native to the town and thus their surname could be counted as one of those adopted/assigned in that town.